Model HER Horizontal Delivery Heaters: Recommended for use in greenhouses or buildings where ceilings are low and with few obstructions. Units are equipped with air deflector blades that can be adjusted to lengthen or shorten heat throw as well as to direct heated air up or down. Units are normally placed around the perimeter of the structure so that the air stream from each heater "wipes" the wall to produce a blanket of warm air along the building's outside walls where heat loss is greatest. 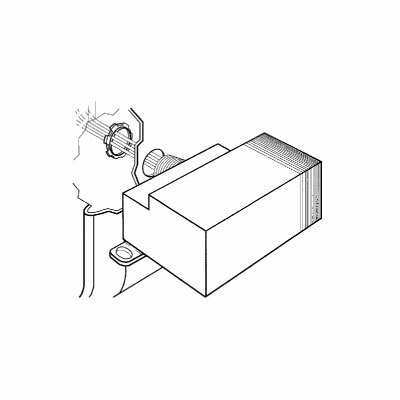 Terminal blocks are supplied to facilitate connection of power supply and control wiring. Heaters are lightweight and usually require no special reinforcement to suspend them. 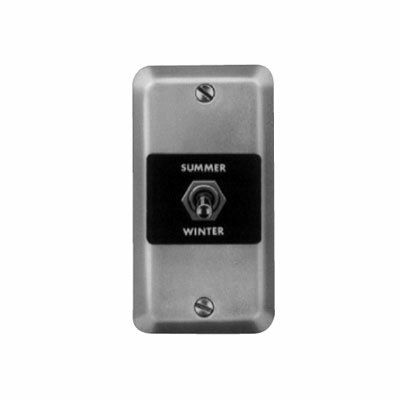 Easy to install - just hang the heater, connect to power supply, controls and thermostat and it is ready to operate. Heating elements are resistant to thermal shock and vibration for a long, trouble-free life. Equipped with adjustable horizontally positioned air deflector blades (HER units) to allow complete control over the air discharged by the unit. Fans are accurately balanced to move air quietly. 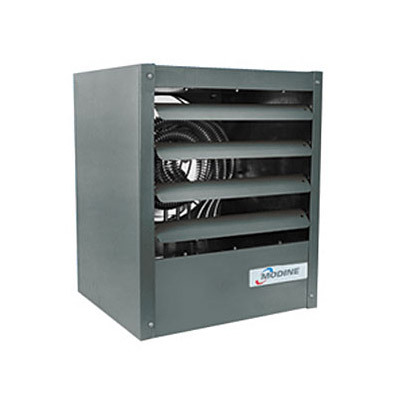 Motors mounted to fan guards utilize rubber vibration absorbing material for quieter operation. Motors are totally enclosed, permanently lubricated, and thermally protected. Electrical contactors, fuses and transformers are all safety enclosed in control compartments. Fan and motor are exposed for easy removal without lowering the unit heater. 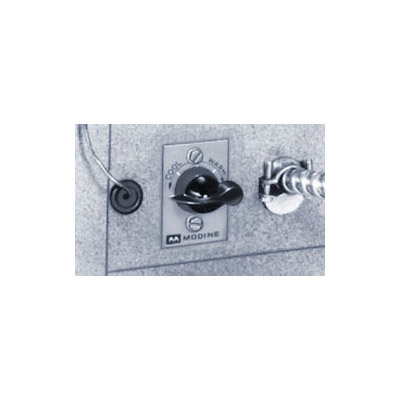 Hinged bottom panel permits full access to controls. Select desired heater from the drop-down list at the top right of the page. Performance information below. Due to size and weight of your order, this product could ship via Standard Ground Service or Common Carrier.